Welcome to the Tyrrell's English Chips Giveaway! And she thinks these English-style chips are the best out there! Check out her review to get the scoop on these delightful and crisp chips! How would you like to win a tote full of Tyrrell's English Chips? If you would like a chance to win, enter with the Giveaway Tool below. 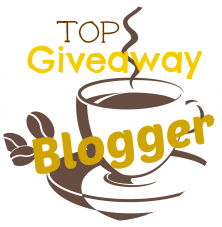 If you have won a Tyrrell's giveaway anytime from another blog in the last 12 months, you are not eligible to win this giveaway. The giveaway will run from July 2 through July 16, 2014 at 11 PM CST and is open to US residents, ages 18 and older. Entries will be verified. Winner will be notified via email (consider adding gloriouslygreengal@gmail.com to your safe list) – winner will have 48 hours to respond and claim prize or another winner will be selected. One flavor I would like would be the Mature Cheddar and chives. I would like to try the Mature Cheddar and chives. Yum!! Lightly salted is my flavor choice. Mature Cheddar and Chives sounds sooooo good. Mature cheddar & chive sounds like a great chip! I learned that these chips come in at least 6 shapes and sizes. I'd love to try their Sea Salt and Cider Vinegar variety. Their vegetable chips are a mix of three types of vegetables: beetroot, parsnips, and carrots. And they sound delicious! I really like the fact that they have lightly salted Chips! I would like to try their veggie chips!